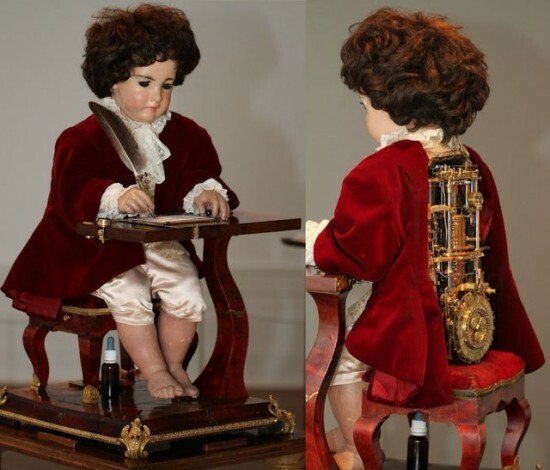 “The Writer” is a clockwork automaton created in the 1770s by the Swiss-born famous watchmaker Pierre Jaquet-Droz. The mechanism, designed to write words and sentences of up to 40 characters, still works perfectly after almost 240 years, baffling everyone with its complexity. The very concept of a machine that could mechanically reproduce the human act of writing was well ahead of its time. Moreover, it must have taken a lot of time, patience and resourcefulness not only to put the idea into practice and build the mechanism, but also to give the machine the look of a boy. The Writer uses cam technology: as the cams move, the cam followers interpret their trajectory and move the boy’s arm accordingly. The cams play an important part in the mechanism because they control not just the strokes of the pen, but also its pressure on the paper. Indeed, as Professor Simon Schaffer states in BBC Four’s documentary “Mechanical Marvels: Clockwork Dreams”, The Writer is “one of the most remarkable realizations of cam technology”. Another fascinating detail regarding the mechanism of the automaton is that it can write any word (and, therefore, any sentence) and follow the text with its eyes. What makes this possible is the fact that the wheel controlling the cams is composed of signs and letters that can easily be re-arranged in any order to form various combinations. Actually, the fact that it is “programmable” makes The Writer the ancestor of modern computers. The mechanism contains around 6000 parts, each hand-crafted, miniaturized and adapted to fit into the body of the boy. Thanks to the technologies used by the watchmaker, namely homeostasis (the process through which a system self-regulates) and miniaturization, The Writer does not require an external source of energy to work, as the mechanism found inside its body produces the necessary force to function by itself. 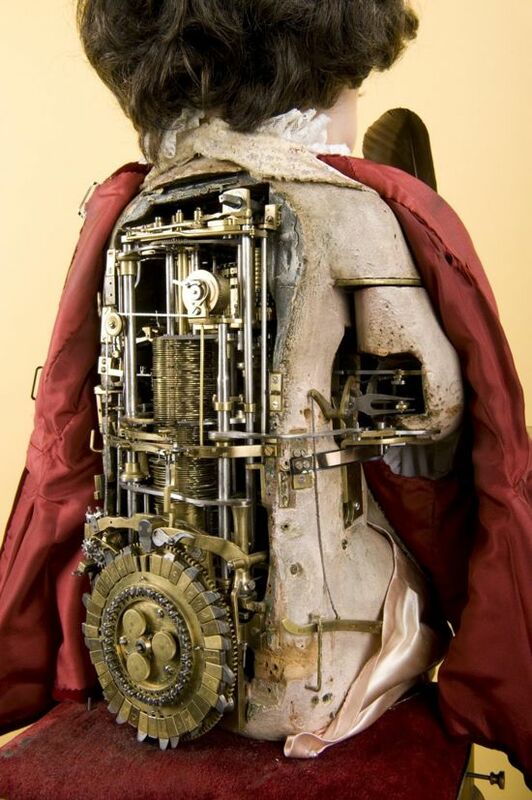 The Writer is one of the three automatons designed and manufactured by Jaquet-Droz that have continued to fascinate ever since they were displayed in front of the European Royal Courts. The Writer, the Musician and the Draughtsman together form the Jaquet-Droz automata, which can be admired at the Art and History Museum in Neuchatel, Switzerland. Next articleBlogger Spreads Rumour That Omotola paid $650,000 to earn a slot on Times 100 influential list? ?